Welcome to our new knowledge base for Batch Document Converter Pro, we will be adding and updating pages most weeks with users tips and solutions, if you have any questions please email us. 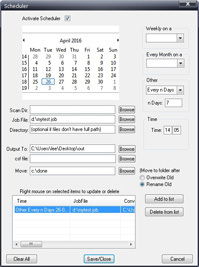 Schedule converts to convert automatically to any converter at a specified time of day or month or year. 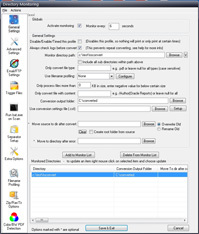 when people drop files into hot folders on your network Batch Document Converter Pro will automatically send them to the correct converter.